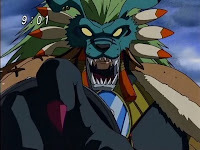 Digimon: System Restore: Data Squad Episode 13: The Rise of Rizegreymon! In this episode, Biyomon dies TWICE. Somewhere in the Digital World, Leomon and Angemon are slow clapping. Can we take a moment to acknowledge how crazy it is that a beast like Merukimon is already in the picture? At this point in most seasons, the heroes are just starting to deal with Ultimates. The Data Squad hasn't even encountered a proper villain yet and suddenly they've got a Mega in their face. This is the equivalent of Zhuqiaomon forgetting about the Devas and trying to eradicate humanity himself. Good luck with that, Growlmon. Merukimon's appearance in the real world is so sudden and so impactful that it's hard to get a good read on him. He shows up to retrieve Falcomon and Biyomon, lays out the whole Data Squad when they get up in his grill and leaves just as quickly. DATS is quick to label him a bad guy trying to wipe out mankind, suggesting that he may be responsible for weakening the barrier between worlds. But while he certainly carries himself like a villain, there's nothing concrete saying that he actually is. He's definitely not a friend, of course, and he certainly looks nasty. It's as if the designers went out of their way to make him imposing, a rather clumsy effort that does nothing to suggest a tie to his mythological roots. He does have a bit of a Spiral King thing working for him though. He also has an ice cave and loyal henchmen. But it's Falcomon and Gotsumon, not the Seven Death Generals. 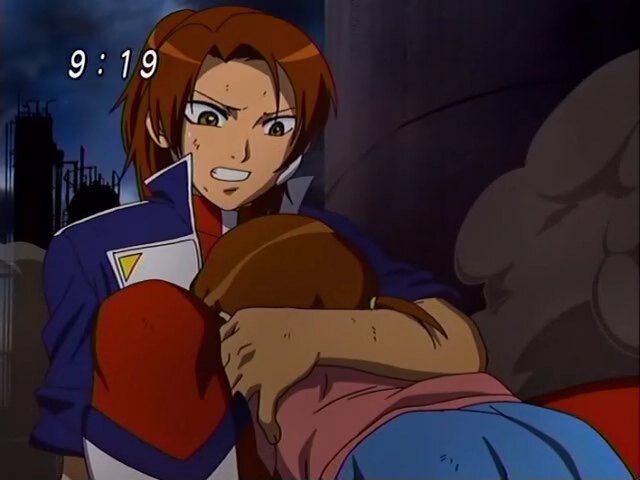 If Merukimon actually wanted to defeat the humans, he had every opportunity. Much as he wanted to punish the traitors who aligned themselves with the Data Squad, Biyomon's sacrifice seemed to take all the wind out of his sails, and he left instead of escalating the battle. It suggests that either he's not as bad as DATS makes him out to be or under that pelt he's actually quite sensitive. Biyomon's rebirth into madness was weird, and our first glimpse at how this series can throw in very dark elements in a sneaky way. It's not unprecedented for a reborn Digimon to have the memories of a past life. Wormmon seemed to remember Ken. But for the most part, it's generally accepted that the only way to truly have a clean slate is to lose memories as well. How else can we take any peace in the Celestials subplot of Frontier unless those three were able to forget what they did to each other? What happens to Biyomon is downright terrifying. Far as we can tell, he remembers only the intense emotion associated with the name Kristy, without any images to go with it. Biyomon hatches with his sole thought being to find, protect and love whoever or whatever this Kristy is, with no reason why. The more you think about it, the more disturbing it is, and the more you understand his rampage as Aquilamon and later Garudamon. The weird bit about the strains of Merukimon's DNA made it a little more confusing than it needed to be, and seemed to exist only as a cheap way to justify the Data Squad going on the attack. GeoGreymon's new evolution was pretty predictable. 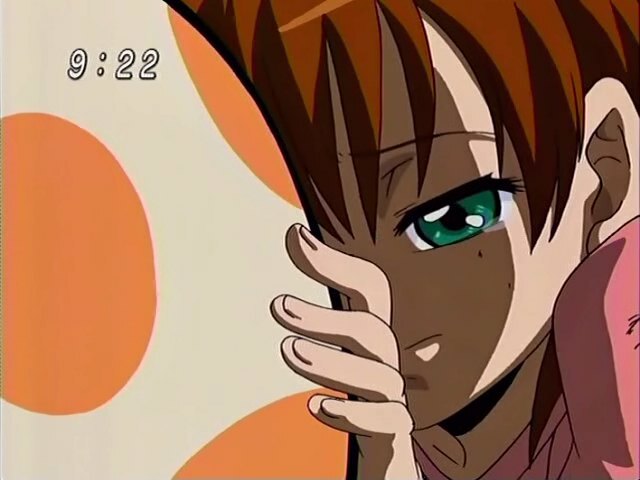 The dub fell into the Japanese trap of incorporating the new form into its episode title, but Marcus's struggle against Garudamon combined with Homer's lecture made it feel like it was time to grow up. Learning to fight to protect his family instead of personal pride, while an important lesson, isn't breaking any new ground. What was surprising was that the show didn't fall for the old cliche of using memories and voices to break the spell. These are usually the situations where Kristy would have the power to talk Garudamon out of his funk, leading to a joyful reunion. By not going there, and by forcing Kristy to witness her would-be partner's death for a second time, it tells us that even in times where we expect a convenient, happy solution, one's not always in the cards. While everybody's getting treatment back at HQ, we never get a good look at who's working on Marcus. It's weird to think there are additional staff members there that we don't know about. 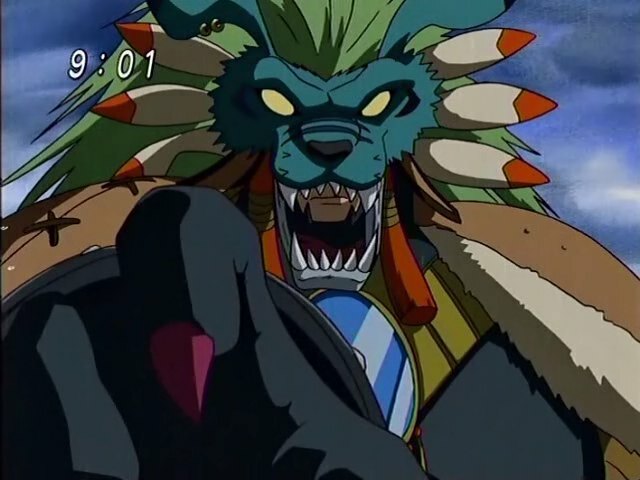 To give an idea of how inappropriate Merukimon's appearance is, Sampson says Merukimon is one of the fastest Digimon in existence. This is accurate by all accounts, but don't look at the guy and tell me he's built for speed. Let's put it on record that Kristy's the first person who makes the outlandish suggestion that there's no reason humans and Digimon can't co-exist peacefully. Nobody really pays her any mind. We should probably be booing and hissing at Chief Hashima for scolding DATS for their incompetence, but I've been pointing out how bad Sampson is at his job for episodes. While the events this time were entirely out of his control, it does look bad. It's important to emphasize that Merukimon and company call it “the human world” instead of the real world. This probably isn't the first time Digimon have referred to it as such (I'm almost positive the Royal Knights did in Frontier, but I was too busy trying to stay awake to notice), but the first season got us used to calling it the real world and it's an important habit to break this season. Boy, this season loves to bust out a rainstorm anytime things get remotely emotional. This is like the fourth time they've done it. To be fair to Merukimon, Gotsumon was technically one of Myotismon's minions too. I only say this so I can point out that I've managed to scatter references to each of the other five seasons in this entry.